Set Up Your ECM Special Edition Classika PID. 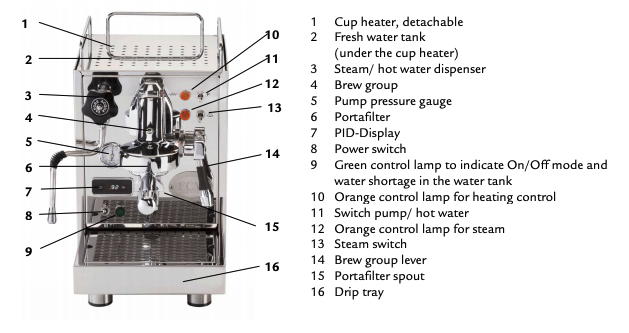 In this manual, you should find everything you need to operate and maintain your single boiler, E61 espresso machine. Please read carefully before using your ECM Special Edition Classika PID Espresso Machine. First, simply fill the reservoir with your filtered and softened water, leaving a few inches at the top to prevent spillage. The reservoir is removable. Ensure that you do not spill water on top of the machine when filling, as this may cause electrical damage. When filling the reservoir, ensure that the magnetic float is in its housing and that the cap of that housing is in place. When inserting the reservoir, ensure that the face of the reservoir with the magnetic water level float housing is facing the front of the machine. Place a small container (a steaming pitcher works perfectly) under the machine's steam wand. Open the steam wand by locking the joystick to the side in any direction. Turn on the machine by flipping the power switch. 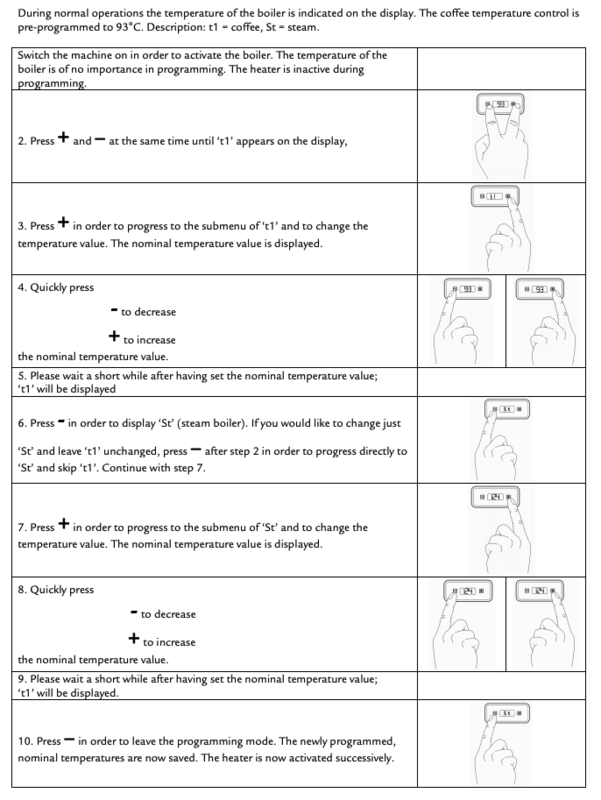 Activate the machine's pump by flipping on the pump switch. Once hot water begins to dispense from the steam wand allow about 20 oz of water to flush out, then turn the pump switch off. This should take about one minute. The boiler is now full. Lift the brew lever for 10 seconds to allow a few ounces of water to flush through the group head. You've used a lot of water, now is a good time to refill the machine's reservoir. Your machine is now ready to pull shots of espresso. Since the Classika PID is a single boiler, it must be switched into steam mode before you can begin steaming. With an empty steaming pitcher on hand, turn on the machine's steam mode switch. Place the steam pitcher under the steam wand and open the steam wand. We'll need to emtpy most of the water out of the boiler to make room for steam. Leave the steam wand open for 10 seconds, then close it for around 20 seconds. Repeat step 2 until you get a consistent stream of steam from the machine's steam wand. You're now ready to steam milk. With your empty steaming pitcher on hand, flip the steam switch off. Place steaming pitcher below the steam wand and open the steam wand. Flip on the machine's pump switch to begin pushing water into the boiler. Once you get a constant stream of water from the steam wand turn off the pump switch and then close the steam wand. Note: Leaving the pump on for an extended period while the steam wand is closed will cause damage to the pump. Lift the brew lever for about 10 seconds to flush a few ounces of water through. Your machine is now ready to pull shots. Do not turn the machine off while it is in steam mode. Always return the machine to its brew mode before turning off. Failure to do so will create a strong vacuum within the boiler causing unnecessary wear on internal parts, which can result in damage NOT covered by warranty.